Kulvech Janvatanavit is the Principal Project Advisor for the Private Sector Collective Action Coalition Against Corruption (CAC) at the Thai Institute of Directors (IOD). He was previously the Director at Beyond Green Co. Ltd from 2012 to 2014 and a partner at PricewaterhouseCoopers in business and financial advisory from 2001 to 2013. Since 2008 he has been the Treasurer of SoS Children Foundation of Thailand under the Royal Patronage of H.M. the Queen, and is also a Director of The Young Buddhists Association of Thailand under the Royal Patronage. 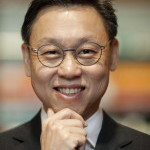 He holds an MA in Real Estate Development from Massachusetts Institute of Technology and an MBA in Finance and International Business from Sasin Graduate Institute of Business Administration, Chulalongkorn University.